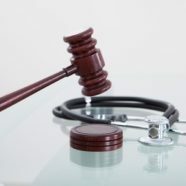 Home »Medical Malpractice » What Qualifies as a Medical Malpractice Lawsuit? What Qualifies as a Medical Malpractice Lawsuit? Medical malpractice exists when a medical professional, hospital, or doctor causes harm to a patient through a negligent act or omission. The patient must suffer an injury due to the medical professional’s negligence, which can include but is not limited to errors in diagnosis, treatment, health management, or aftercare. The operational definition of negligence is dependent upon whether the patient would have received adequate and proper care elsewhere. Medical malpractice lawsuit cases must be filed during a specific time duration or the courts will dismiss the case regardless of the negligence or result. In the state of Georgia, the statue of limitations for medical malpractice lawsuits is two years from the injury’s date. It is important to note that the injury on-set date and the incident date could possibly vary. It must be determined if ..
.. a doctor-patient relationship existed. Determination of the physician-patient gives proof of the doctor’s responsibility to provide adequate and competent care. Generally, this element is not difficult to prove. .. the doctor was negligent. It must be proven that the healthcare professional was negligent in their practice and caused the patient harm that would not have otherwise ensued under the care of a competent doctor. The medical standard of care will be determined by comparing clinical practice guidelines among other healthcare professionals to the care in which you were provided. Usually in court, it would be necessary for expert witnesses to testify and define the actions of a competent and reasonably skilled doctor would have done in the same situation. .. the injury produced specific damages. Keep in mind, disapprobation of the practice or treatment does not constitute as medical malpractice. Types of harm a patient can sue for includes physical pain, mental distress, lost wages, and lost earning capacity. .. there is a link between doctor’s negligence and patient’s injury. This means it must be obstinate that the doctor’s negligence caused a specific injury, and the injury is not a result of an underlying medical condition or another cause. Interested in a medical malpractice attorney in Woodstock, Georgia? If you are seeking an attorney for a medical malpractice lawsuit, we can help! Accident cases need to be handled delicately and by a professional, so let the Law Offices of P. Kent Eichelzer III help you today. We have offices convenient to Woodstock, GA and Marietta, GA. Don’t wait another minute; contact us today to set up a free consultation.